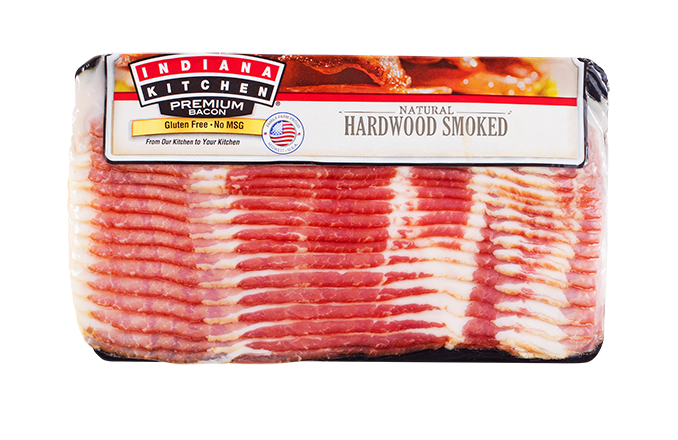 Sourced from proud Midwestern farmers, our bacon tastes like a day’s work done right. Smoked over natural hardwoods and cured the good old-fashioned way for that fresh-from-the-farm taste that’s sure to bring the family together. You ring the dinner bell. We’ll bring the sizzle. 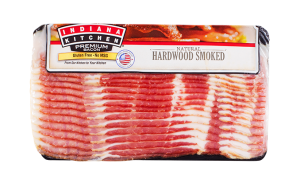 Our flagship bacon. No liquid smoke, gluten or MSG. And no added hormones*—ever. Just smoked over real hardwood chips and cured in the essentials: water, salt and sugar. For those who want to feed their families the highest quality they can get their hands on. Vitamin A, Vitamin C, Calcium and Iron. Just like our flagship bacon, BUT BIGGER! Cut for slices that are 40% thicker, this bacon’s meat-to-fat ratio results in a marbling that’s a feast for the eyes, taste buds, belly and soul. According to some folks, it just might be the meaning of life.